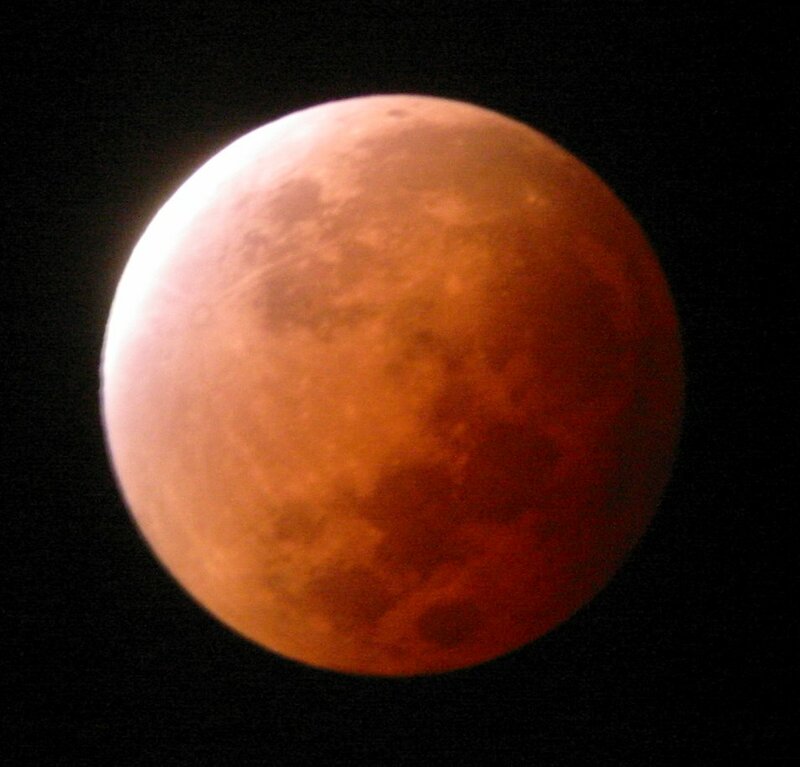 Summary: The full moon glided through Earth's shadow on Nov 8/9, 2003, and turned a delightful shade of deep red. Get the full story from Science@NASA. 2 sec exposure through AstroPhysics 105mm f/6, using Olympus C2040Z digicam. 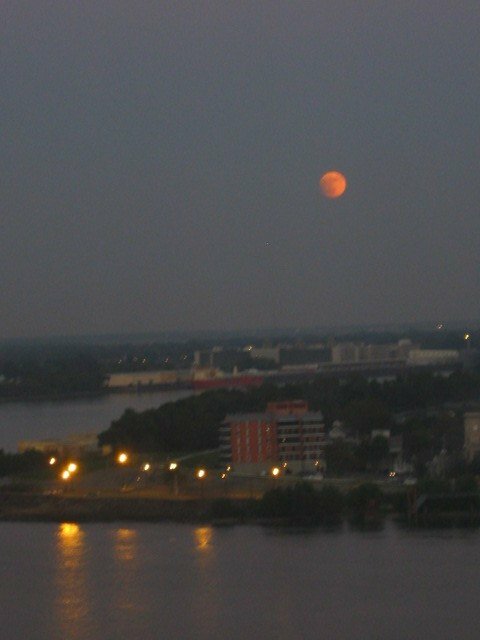 We had great weather for the eclipse. Temperature was in the teens. 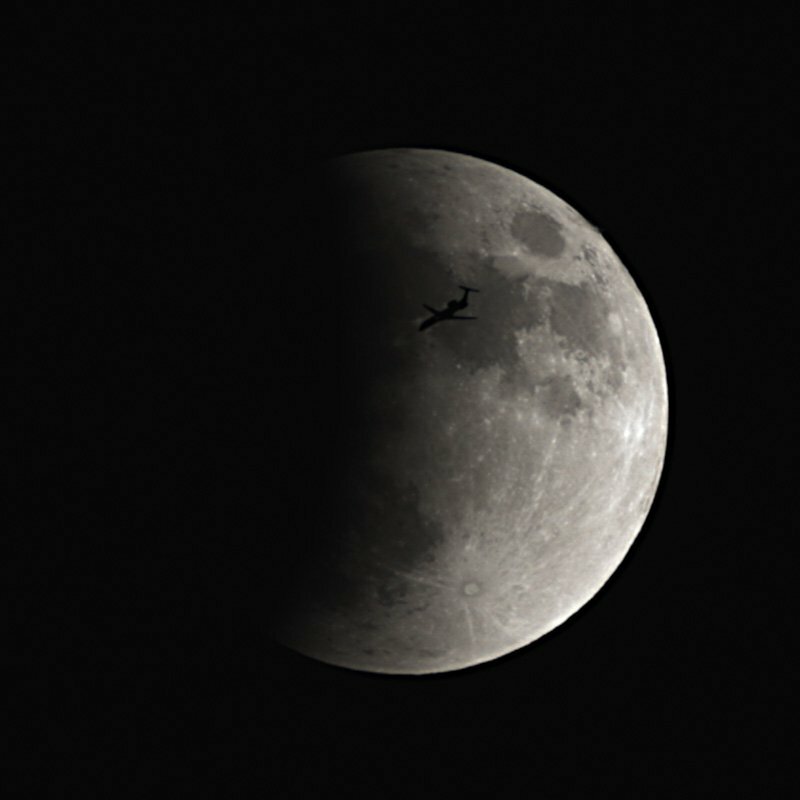 While photographing the eclipse for a progression, I saw a plane approaching the moon. When it crossed, I snapped! 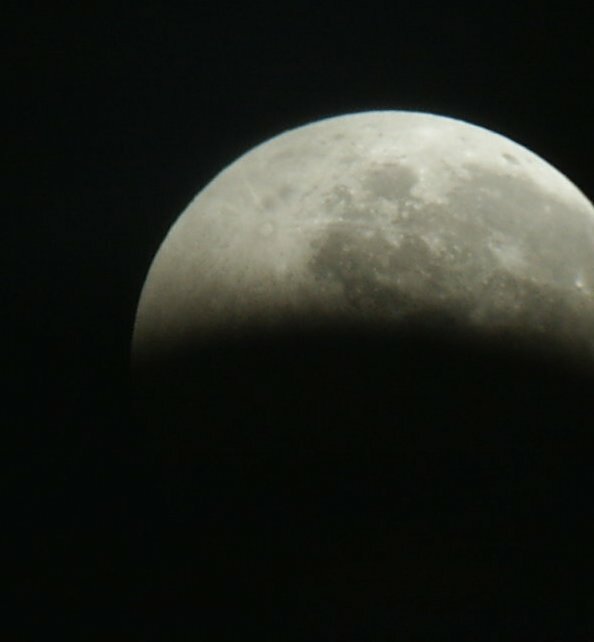 Photo taken with a Canon D60 digital, at prime focus through a Televue Pronto. 5pm on a very cold, fortunately windless, evening. 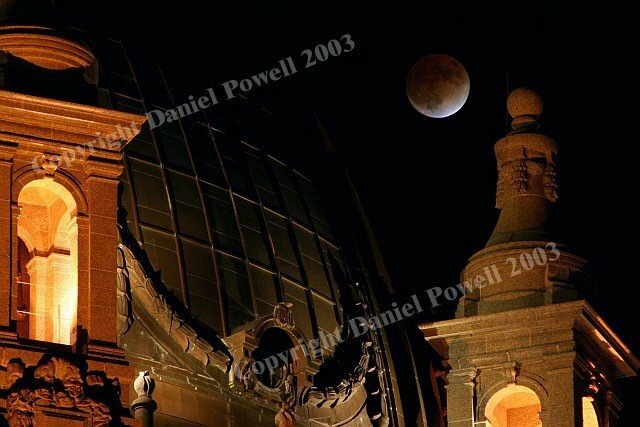 The moon rising in penumbral eclipse over the Big Easy on Nov. 8, 2003. Taken with a Canon PowerShot S30, automatic settings. 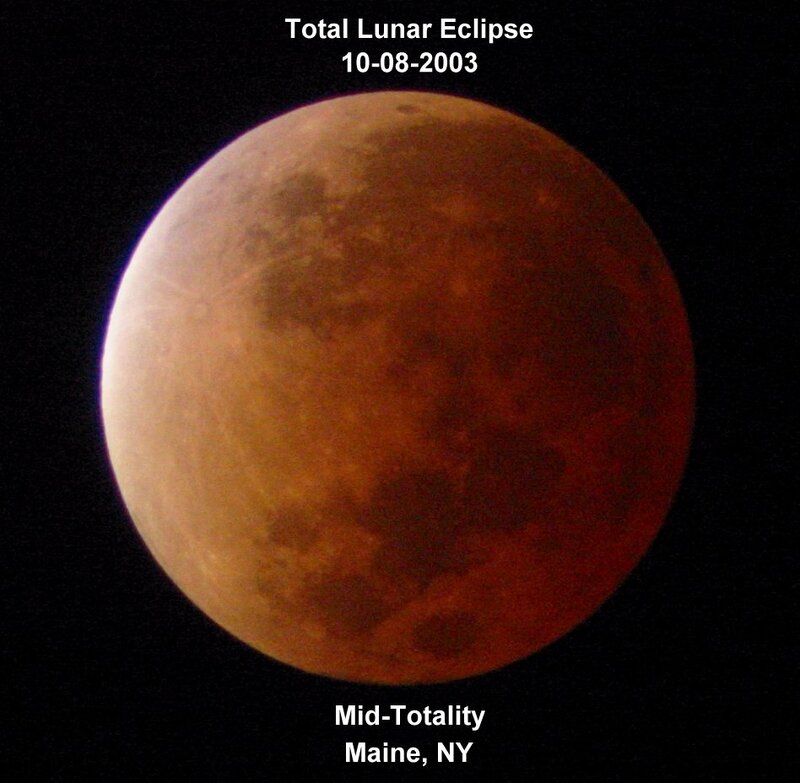 These were taken with a Celestron 11" telscope at prime focus with a Nikon FE-2 camera on Kodak Max 400 film. Between the frost forming on all my lenses and the fog rolling in, I feel lucky to have gotten any pictures at all! 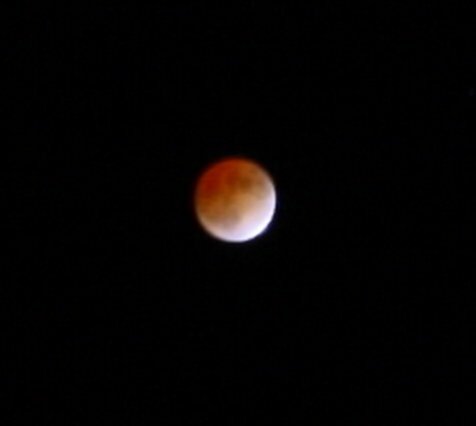 Visually, the color and brightness of the eclipse were stunning. 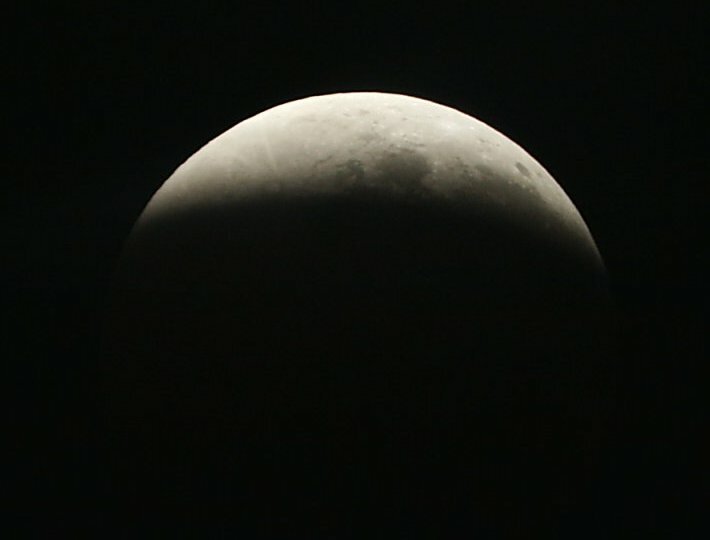 This was taken through a 10 inch Dobsonian with a cannon digital Elf. Out in the backyard and just too cool to pass up! Photo details: Samsung Digimax, Orion 130mm reflector. 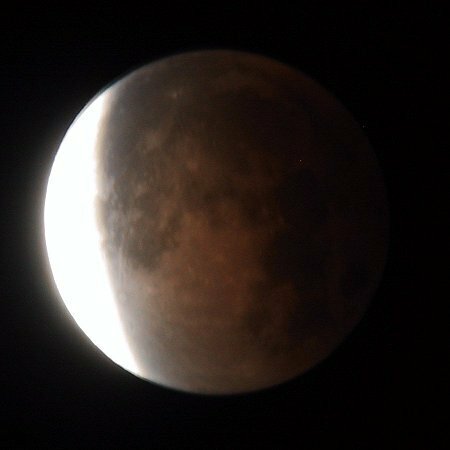 I took these pictures with an Olympus D-400 mounted on a Celestron 114GT. The sky was crystal clear and the temperature was 22F. 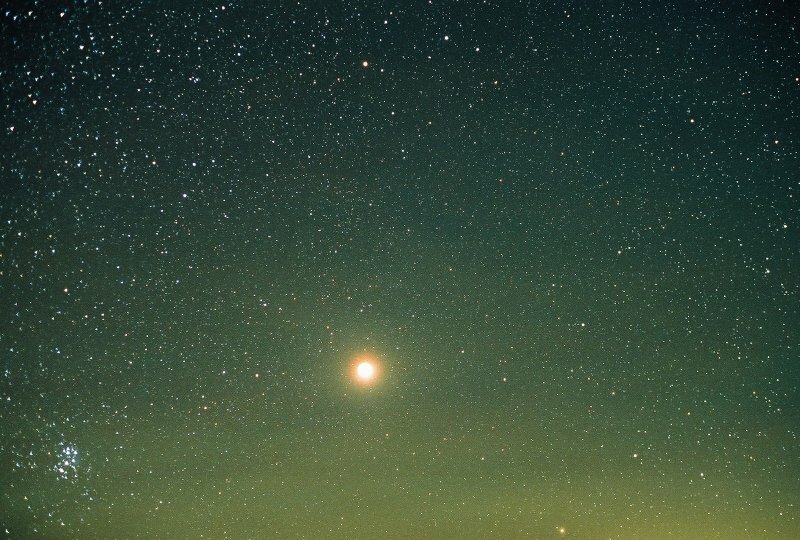 There was frost on the telescope but it was worth it. The "blur" in one of the photos is the passenger ferry leaving for the mainland of Washington. Photos were shot with a Sony f-707, 100 ASA and varying exposures. 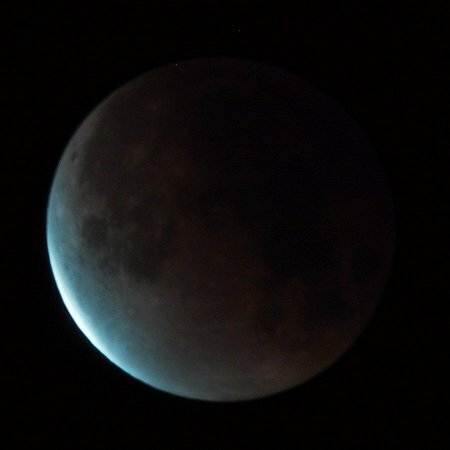 The sky was totally cloudy until 10 minutes into totality when it just "magically" cleared. 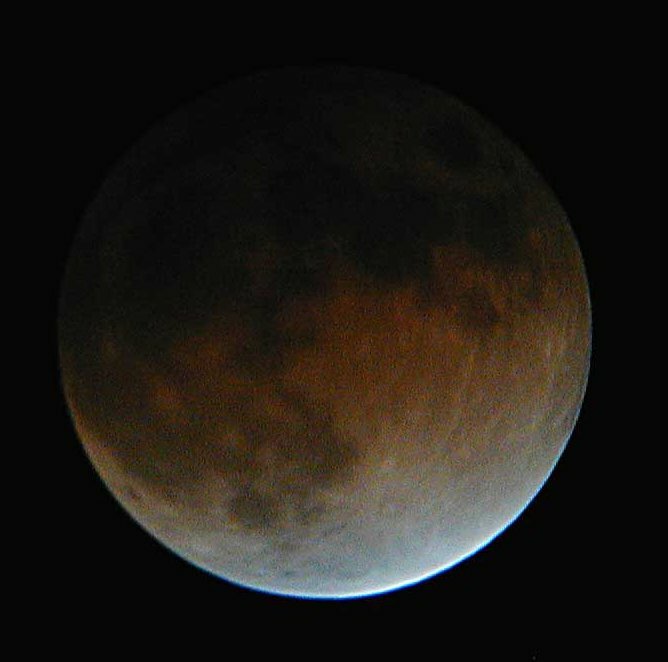 The pictures were taken at the time indicated in the filename, with a Canon Digital IXUS through a Meade ETX 90 with 26mm eyepiece. Shutter speeds were 0.5 or 1s. 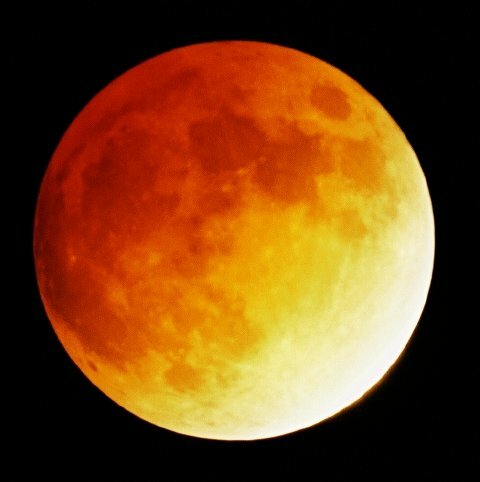 What a beautiful eclipse! We had perfectly clear skies and a wind chill making it 13 deg. 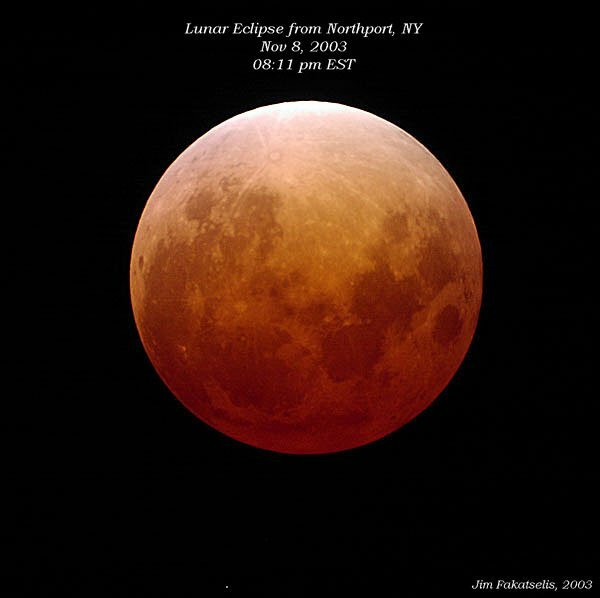 F. Photo details: This image was taken during mid-totality using a canon A40 powershot digital camera connected in afocal mode to an 80 MM, f/5 refractor and a 20 MM eyepiece. 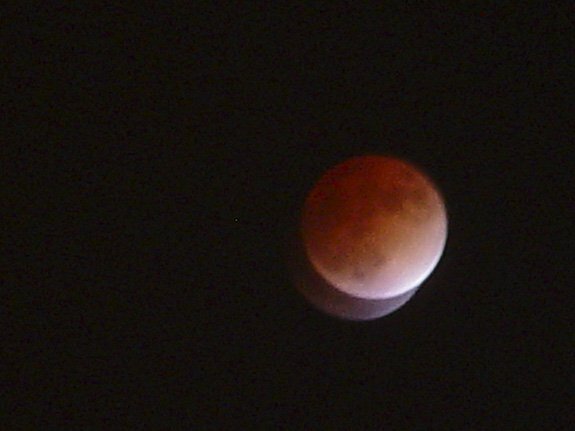 The exposure settings were 1/6 sec., f/4.8, 400 ASA. 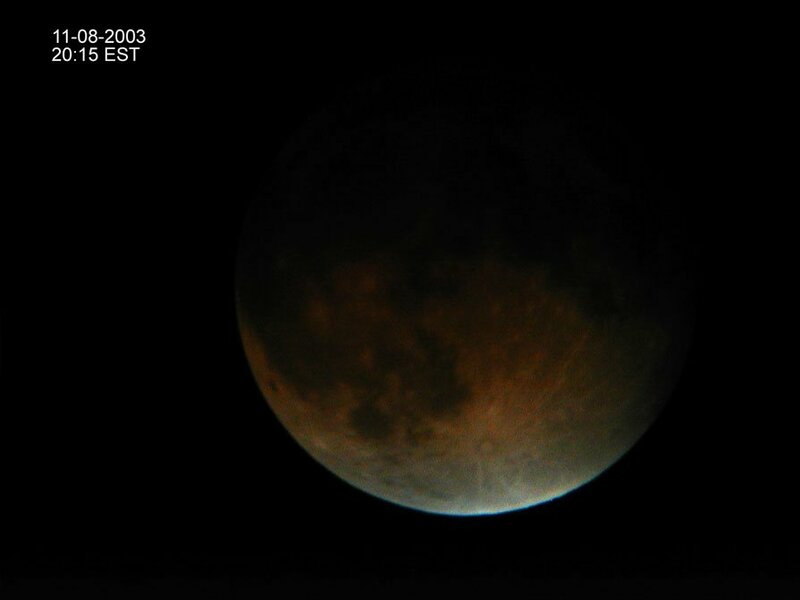 Taken at 11:45 pm est on 11/8/2003 with Meade 12" LX200 with Nikon 4500 held at eyepiece. 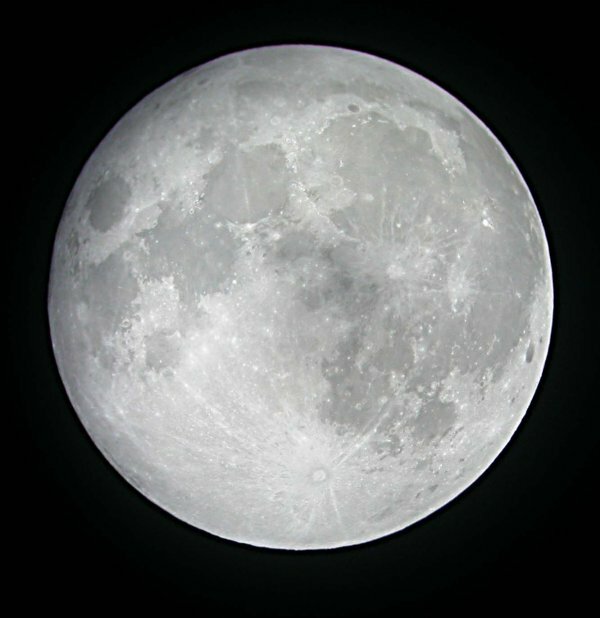 1/30 exposure f5.0 with moon filter on eyepiece. 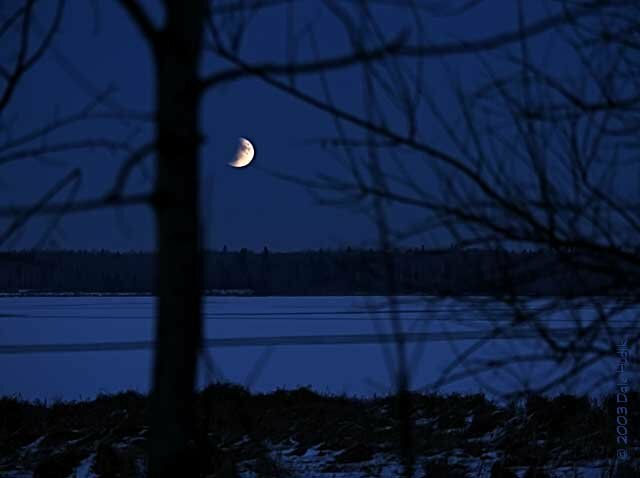 Moon was 100% full.